Job Seekers Who Are Waiting For IPR Recruitment 2018 Notification. Finally, Your Dream Comes True. Institute Of Plasma Research Published Notification For Graduate Apprentice, Technician Apprentice & Other Posts. There Are 49 Vacancies Available At IPR Career 2018 Notification. Eligible Aspirants Can Start Filling Their Offline Application Form From 03th August 2018. Suitable Candidates Can Get Application Form @ Www.Ips.Res.In. The Last Date To Submit Online Applications For Institute For Plasma Research Recruitment 2017 Is 14st August 2018. Contenders Can Read The Full Article To Know More About IPR Apprentice Jobs 2018. 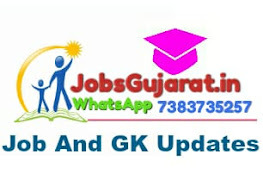 IPR Career 201-819 – www.ips.res.in Jobs:Being one of the Gujarat Government Jobs, Institute of Plasma Research, Gandhinagar has come up with a vacancy advertisement of IPR Career 2017 Notification. The organization is seeking for well qualified and experienced candidates to fill up their 49 posts. There are for Graduate Apprentice, Technician Apprentice & other Posts. Aspirants who satisfy the required eligibility parameters of IPR Apprentice Recruitment 2018 must apply against through submitting applications is on or before the last date i.e 14st August 2018. For other details regarding IPR Recruitment 2018, go through below given article. Further details like age limit, educational qualification, pay scale and how to apply process is given in the below section. Latest Employment News, which helps candidates to apply for IPR Apprentice Jobs 2018. Entrants can apply for Institute of Plasma Research Advertisement by submitting IPR Application Form as on or before the time limit. The applicants for IPR Vacancy 2018 will be shortlisted purely based on merit list. Selected ones will get a respectable pay from the authorized team. Job searchers can get further information in regard to IPR Apprentice Job Notification 2018 by scrolling down the page which is well prepared by dedicated team members of our website. Qualification:Individuals must have completed First Class Degree/Diploma/ITI Certificate who have passed their qualifying examination in the year 2016 and have not undergone apprenticeship training earlier. Graduate Apprentice – Rs. 9000/- per month. Technical Apprentice – Rs.8000/-per month. ITI Apprentice – Rs.7000/- per month. Selection Process:To be a part of IPR Apprentices Recruitment 2017, candidates should take up below mentioned test:Based on merit list.